What Do We Do about Mom and Dad? Among the Commandments one might feel confident somewhat in fulfilling is the fourth: Honor your father and your mother. Twenty-first century parents might find themselves reminding their children of this expectation repeatedly. In fairness, many adult children appear to be hard pressed in raising their own children while also trying to care for their elderly parents. Contrarily, one must lament over those aging parents who have adult children who never have been able to stand on their own two feet. Some of these children, regrettably, have had experienced unforeseen problems that occasioned asking for help from their parents. Others, however, have adopted a plan of "family welfare" in which they find their situation easier and more comfortable than overcoming their own problems and "growing up." Some play the helpless and hapless victims who are never quite able to become independent. Like the Prodigal Son in his pre-reformation state, they want their inheritance now and, if they can get away with it, their siblings inheritances too. How true the lament of King Lear, "How shaper than a serpents tooth it is to have a thankless child." Thus, Shakespeare reminds us of the timelessness of the problem. Happily, most children indeed do want to honor their parents through living good and responsible lives and being prepared to care for their parents in their need. Remember the prodigal's brother? Many developed countries are facing, on both the economic and political front, the challenge of coping with the social service and healthcare requirements of a large aging population and a dwindling population of young wage earners to support them. One only has to study the circumstances in Japan in order to see the challenges ahead. The Japanese government already has established large colonies in other countries to care for their burgeoning elderly population. The very low birthrate in Japan will present profound problems for their society in the near future. Europe is faced with similar challenges and, if not for the number of immigrants, the United States would be in a similar condition. Nevertheless, the United States must address the perils facing the Medicare, Medicaid, and Social Security programs. 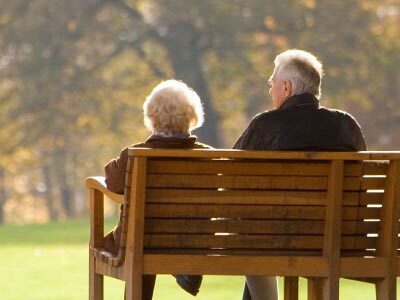 Referring again to the personal matter of parents, children, and the dictates of the Fourth Commandment, some elderly parents have insured the continuous interest of their children in their parents' well-being by the lure of "inheritance." In his book, Someday All This Will Be Yours , Hendrik Hartog states that some elderly are using the promise of an inheritance to entice adult children to be particularly attentive to their needs as aging parents. Considering the recent stresses in our economy and, in addition, noting the elderly who have had to support their adult children, the cry among the older population of "What inheritance!" must be commonplace. This type of parental blackmail sounds sad to the ear and cold to the heart, but the circumstances surrounding these past decades of self-interest, and moral relativism will bear fruit more distasteful than this. Being able to live independently and not to become a "burden" on their children has been the universal wish of parents from time in memoriam. But sometimes life introduces events that call children to unite in providing care for their elderly parents. It is hoped that these emergencies will open the hearts of children to a clearer and more vibrant feeling of the purpose of life and how fulfilling is the gift of self for a loved one. The mother and father who cared for our every need while growing up ought not to be seen as a burden when it is our turn to give back. Invaluable assistance can be acquired by governmental and private agencies. Those you know who have been through similar circumstances also may be a helpful resource. Although the demands are challenging, adult children will never regret the opportunity to draw upon their own wellspring of love for their parents. There may be no better time in life truly to understand and to appreciate our parents. This is a time to discover how much our parents mean to us and how deep our love for them is. There is no one-size-fits-all solution to the demands of caring for the aging population. One thing is certain: The honor shown to parents at all stages of their lives must be founded in a gracious and grateful love. Editorial What Do We Do about Mom and Dad?